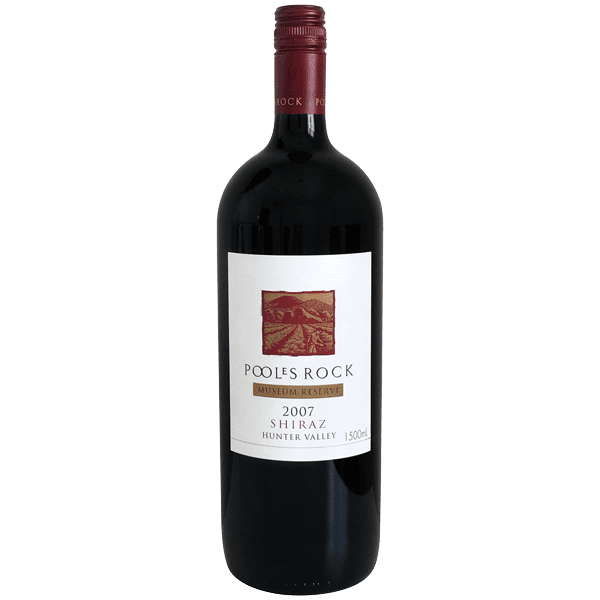 The 2007 Poole’s Rock Shiraz is produced from grapes grown on old vines located at our Post Office Vineyard adjacent to our winery in the heart of Pokolbin. This wine will continue to develop gracefully over the next 15 or more years if cellared in optimal conditions. Black pepper and currant aromas. The palate is rich with mulberry and wild blackberry flavours which combine with hints of elegant new French oak tannins for a concentrated fruit finish.